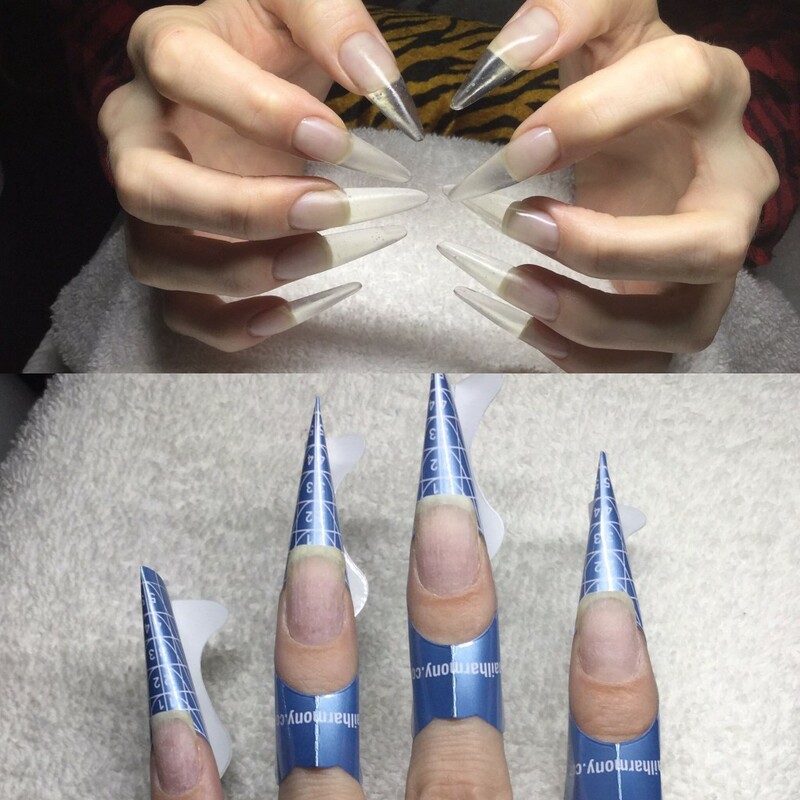 I got this press release and am very curious about how it will help nails be stronger. 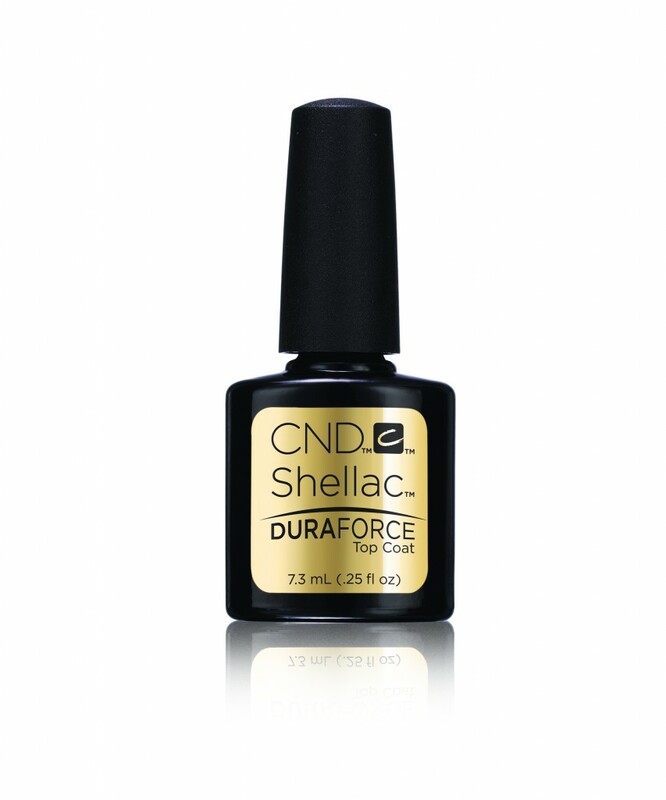 New from CND (available in January 2017) this Shellac Duraforce® top coat is said to add 25% more strength to help clients with weak nails. 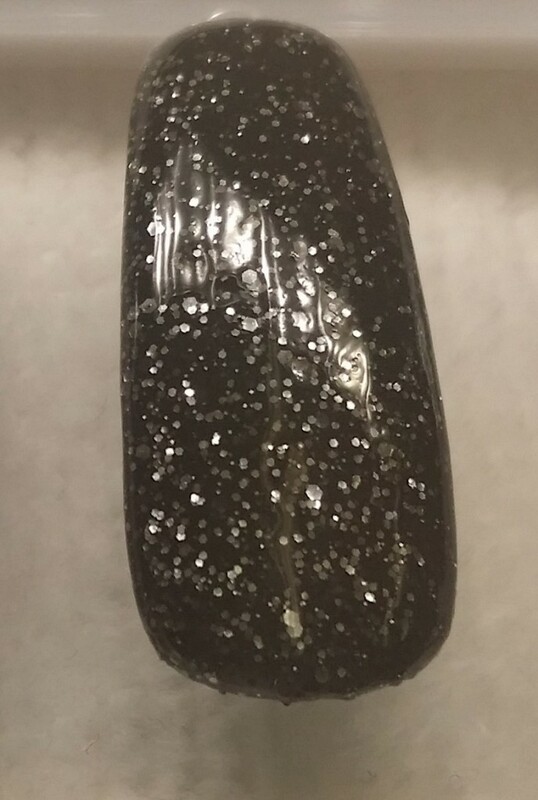 Without having tried it, my guess is that it is a strong, more resiliant top coat to add more protection to the top of the nail. I am reaching out to see if it is thicker and what the cure times are as well. So as of now, it looks like a tease to let us know it is coming. I will ask for a sample and let you know when I test it out. They also say that soak off is 15 minutes using “Offly Fast” moisturizing remover! Stay tuned for more info on this little gem. 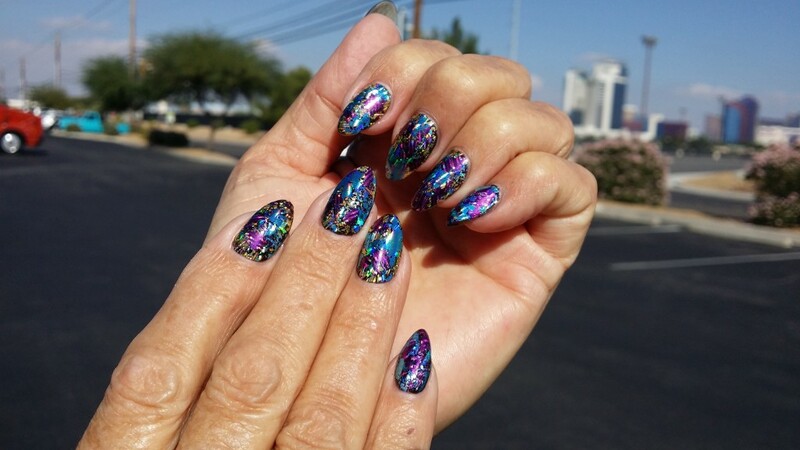 Another nail play date with Couture Nails by Kathy. 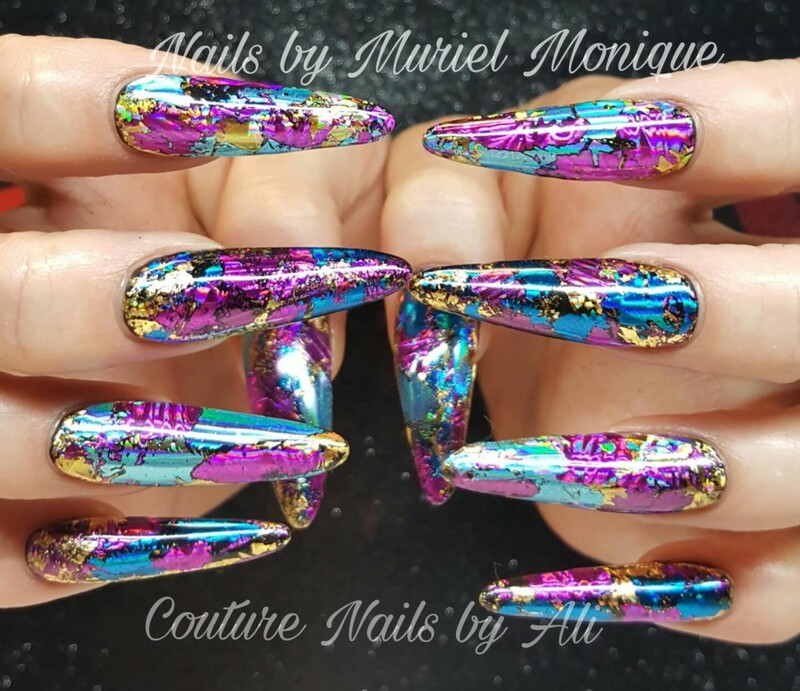 This time we used 3 different colors and styles of transfer foils over CND “Black Pool”!!! So bright and definitely eye catching in the sun! 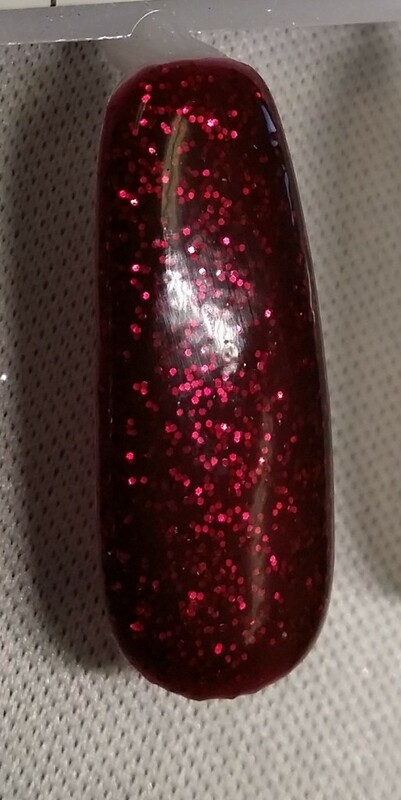 More of these incredibly sparkly, glittery colors from CND’s fall collection called “Starstruck” I wish the camera would pickup all the tiny gleaming bits in these nail colors! I recently read in Nails magazine some advice from nail techs about what color are essential for fall/winter. A dark forest green was definitely one of them. This color does not disappoint in the deep richness department. 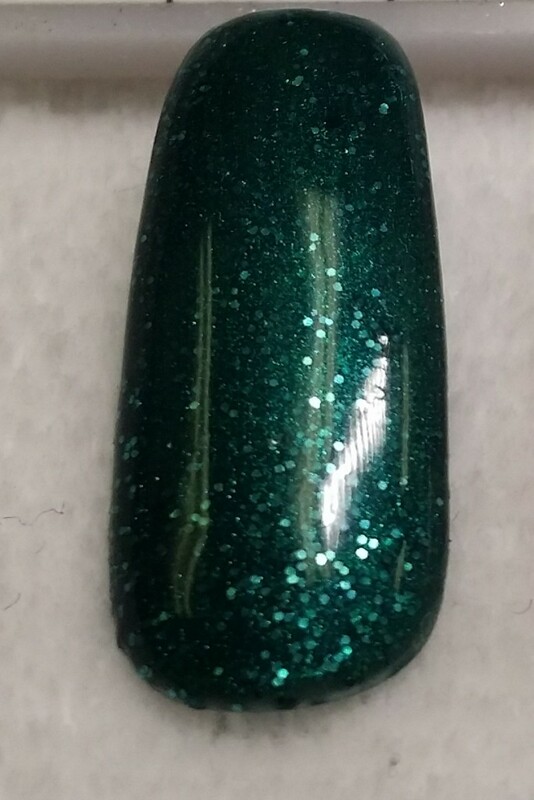 While Emerald Lights is definitely in the top for richness and glitter, Garnet Glamour is right beside it. I couldn’t even really get a good shot of it. 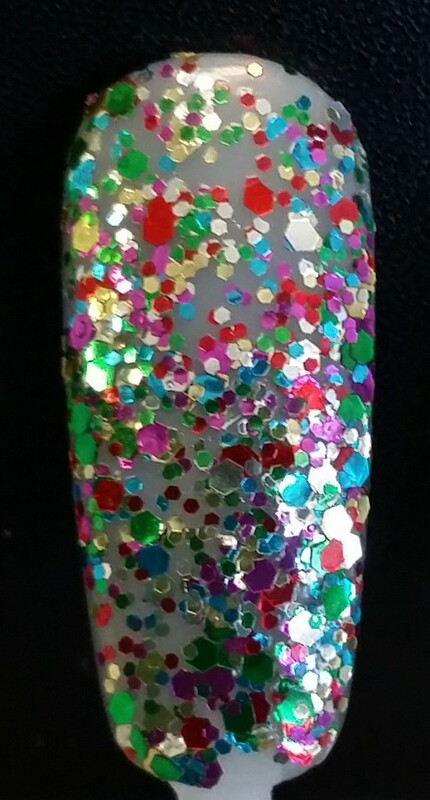 It is so full of tiny glitter that it gives the illusion of being inches thick! Available at fine distributors and at your favorite professional nail salon. 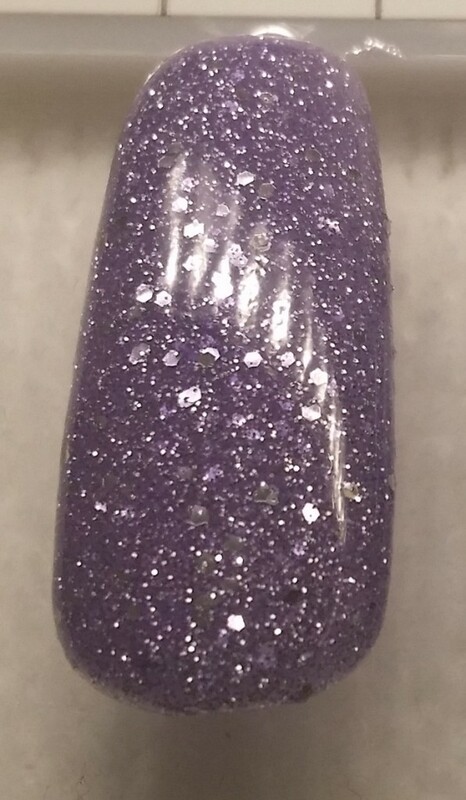 Here are three colors from CND’s “Starstruck” collection that became available in September. 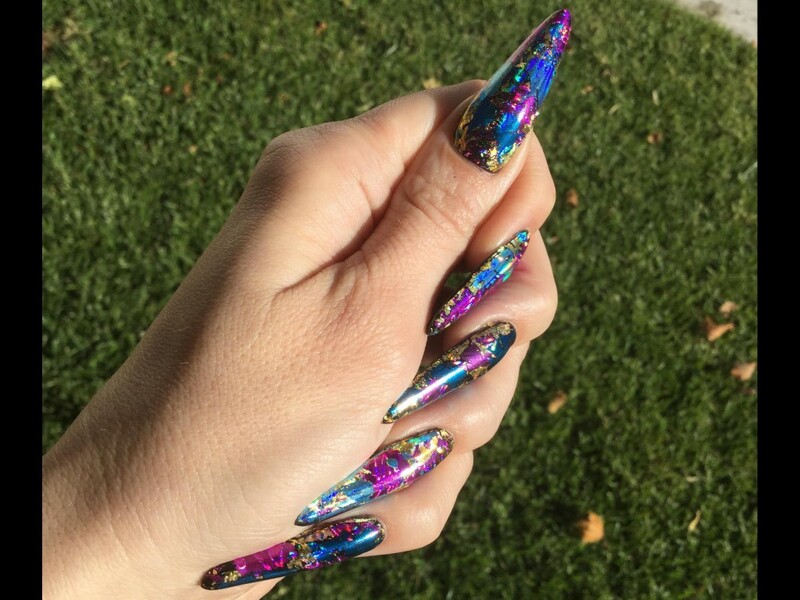 For us nail tech’s that LOVE glitter, this collection has it for us!!! They all have deep rich color as well as different shapes and sizes of glitter to give you the multi-dimensional effect. Dont’ you just feel like you could fall into these colors. They definitely have the proper name for the collection! Well, it’s taken me a little while but I finally got around to doing some swatches of Creative Play lacquers from CND! 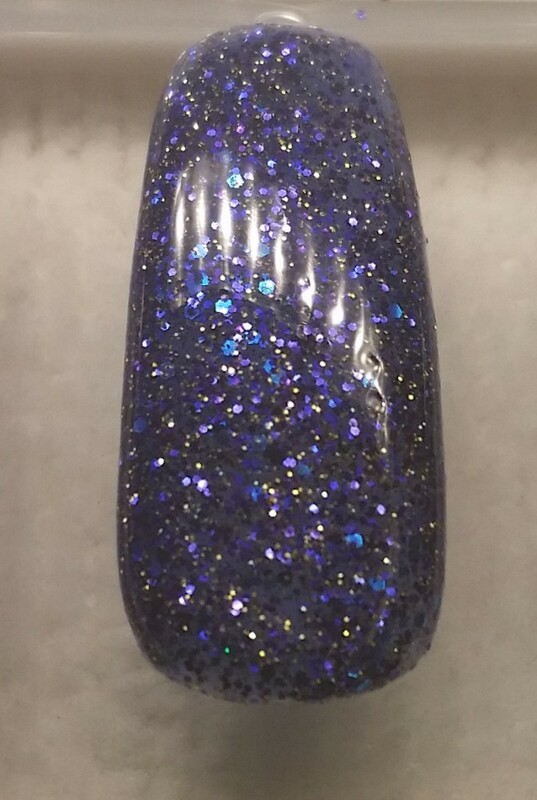 These are regular polish that designed so we can get Creative with nail art when using them! 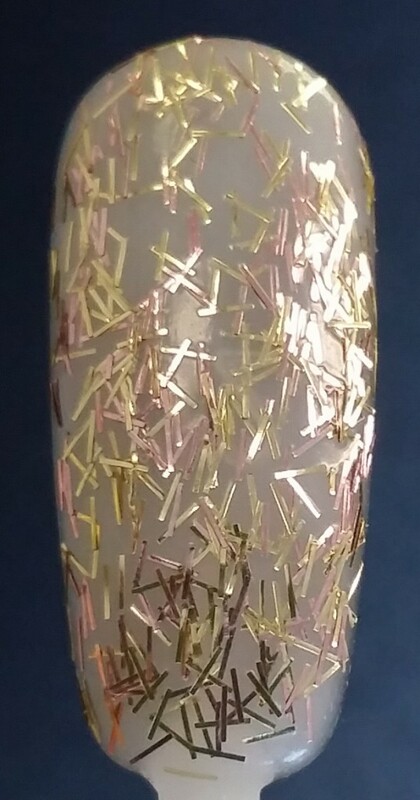 The first one is like tiny strips of gold and bronze confetti in a clear base. It is called Extravagant. The second one is like tiny specks of blue, green, silver, pink and red, also in a clear base. This is Glitabulous. 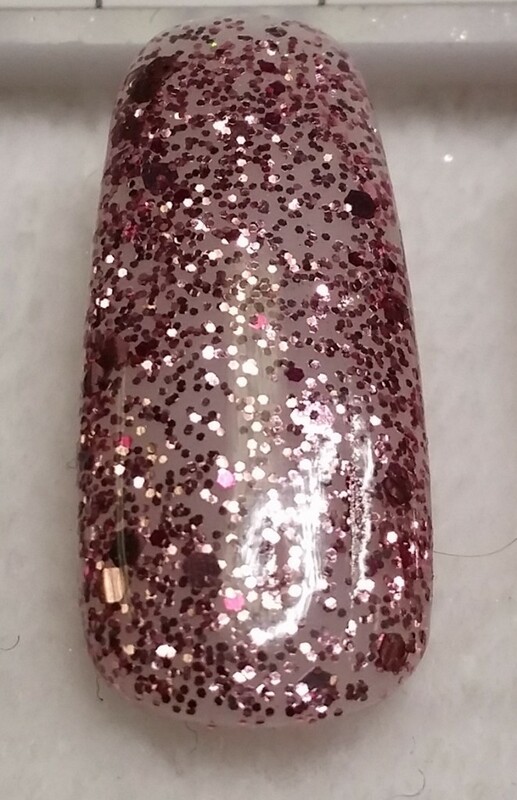 This would be cool for Christmas nails!!! 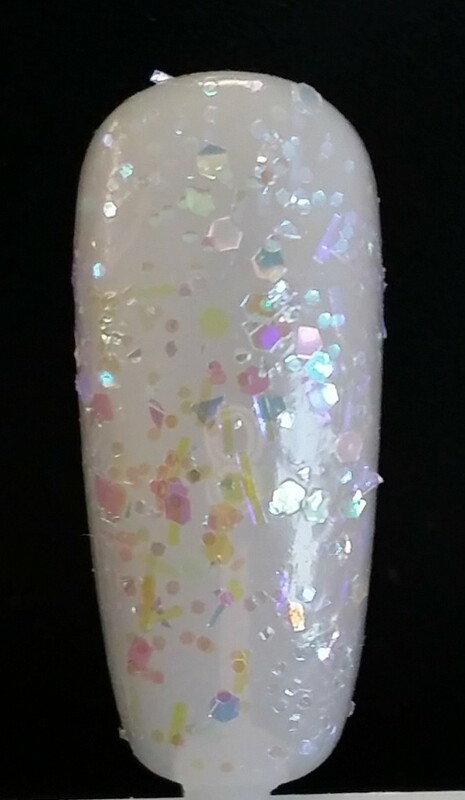 And the final one for today is flat specks of opal essence in a clear base coat. Subtle and pretty. So, all these could be used by themselves or over top of a color to add different dimensions to it.